Understanding recent advances in the MoBE field – microBEnet: the microbiology of the Built Environment network. 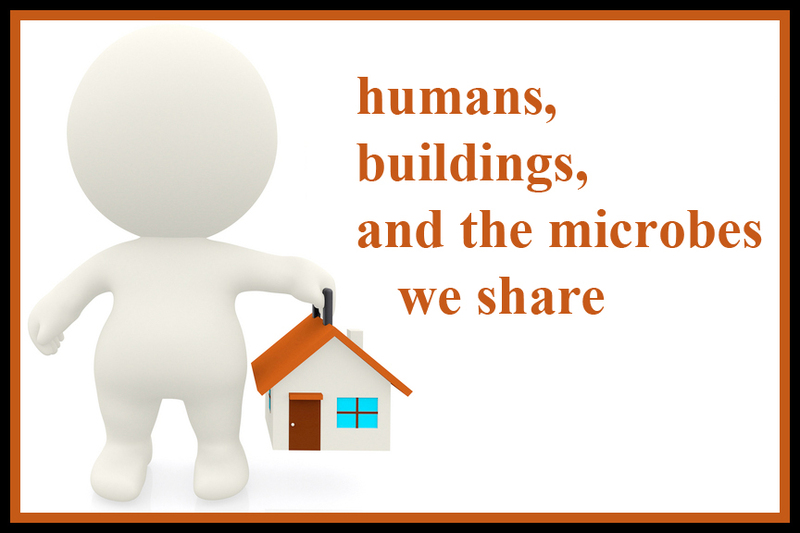 As intrepid scientists working to understand the interactions between humans, buildings, and the microbes we share, a recently published review paper caught our attention. The piece, Recent Advances in the Microbiology of the Built Environment, by Konya and Scott, set out to synthesize what has been learned in the short time that high-throughput sequencing has been applied to indoor microbes. Taking stock of a rapidly growing field is a valuable endeavor, and we appreciate the way the authors place recent work on indoor bacteria and fungi on the longer arc of research in the area. However, we felt that some aspects of the paper were a bit out of place and worthy of a response. The authors main thesis seems to have been that “Most modern studies on the microbiology of the built environment … [have] done little thus far to advance our understanding of the functional nature, ecological interactions, health and lifestyle implications, and building science determinants of the built environment as a microbial habitat.” In fact, they go as far as to claim that recent papers in the field add “… little if anything to the much earlier findings of Carnelley et al. (1887).” We, on the contrary, would argue for a more positive take on the state of the field. We agree with the authors that MoBE studies up to now have been largely descriptive in nature – high-throughput-based surveys have refined what we knew from previous culture-based work. We disagree, however, that these contributions have been in any way insignificant simply because they agree with historical research. As a general approach to scientific discovery, we argue that hypothesis-driven discovery paves the way for hypothesis-driven experimentation. In the case of MoBE, these early studies have enabled experimental projects that are currently ongoing in our and other research groups. By calibrating our own understanding of what a normal indoor microbial community (e.g., in a classroom or a residence) should look like, we can, for example, better predict which building science parameters may alter the indoor microbiome or better understand the ecological context for those microbes with health and lifestyle implications. The truth is that at this point we still know little about how human- and building health are related to indoor microbial communities. Thus recent studies, albeit descriptive ones, have presented an ideal starting point from which to tackle these larger goals through more integrated studies. But aside from the dismissal of hypothesis-driven discovery (and some technical inaccuracies that are not discussed here), we find the most eyebrow-raising aspect of Konya and Scott’s review piece to be the hyperbolic tone aimed at colleagues with the MoBE field. Our field is radically multidisciplinary – it requires thoughtful input from architects, building scientists, engineers, chemists, microbiologists, and ecologists. Recognizing the importance of each other’s perspectives and focusing on how different viewpoints can work in concert, we argue, is a more constructive way to advance a vibrant field of scientific inquiry. â€œI totally agree with Konya and Scott: DNA methods have added little to previous knowledge gathered with traditional methods. DNA scientists look directly into sequences, without knowing whether the microbes they are sampling are dead or alive, active or inactive. This is a big mistake in ecology, which is based on organisms’ interactions with others and the environment. Remember, a dead microbe does not affect building structures. Moreover, a dead pathogen is not a pathogen any longer, just an allergen. Buildings are in principle hostile environments for microbes, because they are designed for humans, and humans like to live in dry environments. Dry surfaces contain only accumulation of dead or dormant microbial fragments. You cannot infer any ecology out of these. An extra draw-back is the lack of curated DNA sequence databases, as has been mentioned in MicroBEnet before. GenBank contains up to 20% wrong identifications, and only 50% of the sequences are identified to species level (ask for a reference if you need one). Questions as to where you sample, and why you sample in a building, have to be preceeded by knowledge on the natural history of the microbes involved. Dust sampling is a too rough technique. OTUs is a too rough category for hypothesis making. Impossible to compare results from several works. Thanks for the comments. Here are some quick comments in response – in no particular order. 1. Not all buildings are dry and not all built environments are buildings. 2. Many microbes are very well adapted to dry environments. So I do not think dryness per se of buildings should be used to infer that buildings are hostile environments for microbes. 3. I find the statement “DNA methods have added little to previous knowledge gathered with traditional methods” to be, well, inaccurate and perhaps overly antagonistic. But maybe I am not understanding exactly what you mean. Are you specifically refering to general microbiota surveys? Or all DNA methods? And I assume you are specifically referring to certain kinds of environments too (e.g., buildings). But in general, I think it is pretty clear that DNA based studied of microbial ecology have generally been remarkably powerful. There are literally dozens of major government agency reports on this and 1000s upon 1000s of papers. The value has been pretty clear in ocean ecology, soil ecology, human microbiome studies, extremophile ecology and dozens of other systems. If you are arguing that this is not true in building microbiome studies, well, I think that would be an interesting discussion. But if you are suggesting this is a general lack of value of DNA based studies in ANY ecosystem, I think you are very far off target. 4. I completely agree that the dead vs alive issue in DNA based studies of microbes is a big deal. And I agree that it may be more important in some ecosystems than others. 5. I agree that a good old optical microscope can be remarkably useful. However, they have enormous limitations too. 6. I disagree with your point about OTUs where you say “OTUs is a too rough category for hypothesis making”. Maybe for the hypotheses in which you are interested. But I think in general there have been 100s to 1000s of interesting and important hypotheses that have come from using OTUs as a metric. (Though I note – I very much prefer to use phylogenetic approaches where we do not deal with OTUs at all). Thanks for a challenging and constructive discussion! I have decided to keep your comments (numbered) and write mine below. I hope there is enough room for the whole text! 1. Not all buildings are dry and not all built environments are buildings. MN:The problem is that people usually sample on dry surfaces, not in hidden structures. A building is more than the surfaces we see. Particles and chemicals produced within hidden structures find their way to the indoor air and surfaces. 2. Many microbes are very well adapted to dry environments. So I do not think dryness per se of buildings should be used to infer that buildings are hostile environments for microbes. MN:As long as there is no water, there will be no activity, but dormancy or death. Humans will prevent water on surfaces, because they design buildings for themselves, not for microbes. But water happens in buildings, sooner or later, often in hidden structures. 3. I find the statement â€œDNA methods have added little to previous knowledge gathered with traditional methodsâ€ to be, well, inaccurate and perhaps overly antagonistic. But maybe I am not understanding exactly what you mean. Are you specifically refering to general microbiota surveys? Or all DNA methods? MN:I am referring to buildings and building surveys, where I have done my fieldwork for the last 12 years. I am also referring to moulds, which I work with. I must say I have learnt a lot about indoor bacteria from recent publications based on DNA sequencing. I guess traditional bacteriologists will have to say what is new in these publications. Moulds are (thanks God) easier to identify than bacteria, and traditional mycologists have known (and published) at least for the last 50 years that the moulds growing indoors come from outdoors. For those species who manage to grow indoors (not all, depending on their natural history), their indoor ecology beautifully resembles their outdoor ecology (my abstract from 2011: â€œIndoor mould ecology resembles ecological strategies in natural environmentsâ€ among others). MN:Sorry if I am not clear enough. I think DNA studies are wonderful, and I look forward to cooperation with DNA scientists in order to understand the epidemiology of indoor moulds! I find often that DNA scientists conclude that one DNA sequence is the same as one living/active organism. Besides, as many as 20% of available DNA sequences are based on wrongly identified organisms, you know that. When we sample, we have to know where we sample, and for what purpose. We have to look at microclimates and ecosystems. Ecology does not happen on dry surfaces. Vacuum-cleaning dry building surfaces will mainly give you descriptive results: who is there, but not what they are doing and where they come from. Ecology studies in ocean, soil, human microbiome, extreme environments with metabolically active microorganisms is right, because the water component is there, so you know you are dealing with real communities – very mature ones in case of extreme environments! Great publications on these natural ecosystems by DNA methods! Buildings have both moist and dry environments. Why do so many building scientists concentrate mainly on the dry ones? You have to look at microbial sources, not at microbial sinks. Dust is a microbial sink. MN:All methods have enormous limitations. I, and many other taxonomists and ecologists find microscopical identification of moulds much easier than DNA extraction, sequencing, methodological bias assessment, and statistical analyses. But I believe DNA sequencing is the next step for many of my unresolved questions! 6. I disagree with your point about OTUs where you say â€œOTUs is a too rough category for hypothesis makingâ€. Maybe for the hypotheses in which you are interested. But I think in general there have been 100s to 1000s of interesting and important hypotheses that have come from using OTUs as a metric. (Though I note â€“ I very much prefer to use phylogenetic approaches where we do not deal with OTUs at all). MN:The problem I see with OTUs is that you cannot assign any natural history to these â€œspeciesâ€. Assessment of their ecological role (what are they doing?) is impossibleâ€¦ unless you assume (and many people unfortunately do) that all species sharing a higher taxonomic level (class – rank is not unusual in publications) have the same role. For the majority of mould species, this is not correct. It is also well known that methodological biases can inflate the amount of real taxa numbers. Besides, many OTUs could be linked to real taxa if we had good, curated reference databases. I recently published an article on microbial communities within below-grade wall structures in Scandinavia. A prominent Finish building scientist had never detected any of the reported mould specialists by DNA sampling in basements. These taxa are visible to the naked eye if you know where they grow. We need badly a DNA reference library based on curated indoor sampling. To keep the discussion going, I’ve written my thoughts here (RA) after the previous comment. RA: So then it seems that sampling indoor air and surfaces could be a way to detect what’s happening in hidden structures without destructive sampling of buildings. RA: I agree it was well-understood that the ultimate source for fungi indoors was outdoors, but I disagree that it was appreciated how little there is a signal for indoor fungi when considering the entire fungal community, in non-water buildings particularly. In reading the literature, my impression was that the indoors was distinct from outdoors. Even if that’s not the case, there is something learned in showing that PCR-based techniques are consistent with what was shown through culture/microscopy. Ecology studies in ocean, soil, human microbiome, extreme environments with metabolically active microorganisms is right, because the water component is there, so you know you are dealing with real communities â€“ very mature ones in case of extreme environments! Great publications on these natural ecosystems by DNA methods! RA: I think a dust sample, in addition to telling you what’s there, can hint at where it came from. I agree that there is little evidence that all this DNA found indoors is from active organisms, but people are starting to specifically target that question – and I’m looking forward to hearing what they find, even if what they find is in agreement with the statement that ecology does not happen on dry surfaces. Studies up to now have focused on dry surfaces, I think, because that was the mandate: to identify what a indoor microbial community looks like in a typical built environment while pushing the research frontier using developing techniques. Armed with these largely corroborative studies, the field is now moving towards questions that seem to resonate better with traditional researchers of the indoors: microbes in water-damaged built environments, microbes in non water-damaged built environments that may still affect human health, quantity of microbes and how that can tie in to particle dynamics. RA: The specifics of the indoor environment (e.g. the particular carbon source such as surfactants in the bathroom; the need for thermotolerance to survive in the dishwasher; fruit on the countertop) make for interesting analogies with the outdoor environment. In that way, the point of view from the microbe may be identical. But to me this definition of ecosystem (food + water + bug) hides the different features of natural ecologies that make biology interesting. MN:The problem I see with OTUs is that you cannot assign any natural history to these â€œspeciesâ€. Assessment of their ecological role (what are they doing?) is impossibleâ€¦ unless you assume (and many people unfortunately do) that all species sharing a higher taxonomic level (class â€“ rank is not unusual in publications) have the same role. For the majority of mould species, this is not correct. RA: I think we all agree that we need better tools when dealing with OTUs (methodological techniques + reference library) for all organisms, not just fungi. I think there is a value in identifying taxa beyond what will grow in culture at this point in time and beyond “yeast”, “hyphal fragment”, and “non-sporulating fungi” – IDs that are not rare when relying on culture and microscopy. It seems to me that 80% correct identification of taxa is not so bad, and may not be that different than the average for other techniques. 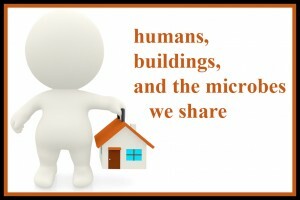 You should write about your findings on the microbenet blog! Rachel, what comes to indoor surfaces and air from hidden structures depends on how air-tight the structure is, the type of building materials, and the presence of dispersal vectors as mites, ants, rats, etc. This varies from building to building, so you donâ€™t know whether you get the whole picture from surface sampling. Chemicals go through most building materials, but they can be dispersed by ventilation. Most indoor fungi, except for many yeasts from building users, come usually from outdoors. This is an advantage, as we know already a lot about their natural history and growth preferences. This allows us to find eventual sources. Several species are really on their way to moving indoors. The dry-rot fungus, for example, fructifies seldom in nature, but is very common in buildings. But I know very few species that have been described from indoors, mostly sibling mould species described as new, based on DNA analyses within species complexes. We have found over 300 fungal species/genera growing indoors, all of them grow outdoors. Arbitrary surface sampling will not tell you whether the species is accidentally in the building, or if it is growing inside. I totally agree that non-accurate laboratory identification has made a bad favor to traditional taxonomy and ecology. I see the power in DNA sequencing of sterile mycelium and settled amerospores. We will never get the whole picture by applying just one method. I am glad that instruments as microBEnet are there for putting us together. I wish my contribution here were my own findings. But all this is scientific evidence gathered during the last 300 years. Remember, we all stand on the shoulders of giants!